If you have comments or questions regarding anything about the site or anything, in general, you can send an email to info@witholle.com, or fill in the form below. Facebook: Visit the Facebook page where I upload new recipes regularly, be sure to like so you don’t miss any of the posts. 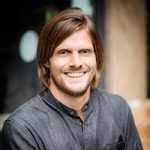 Instagram: Follow me on Instagram and have a look at plant-based food pictures and behind the scenes photos of me cooking. Google+: Se photos of the food I cook on my Google+ page.